First coming to mainstream notice when their 2014 album, Rivers In The Wasteland, saw the band grab their first Grammy Award nomination. It also topped the Billboard's Top Rock Album and Top Alternative Albums chart, as well as earning them their highest charting single with "Brother" which featured Gavin DeGraw. Since then, the band became widely acknowledged for their alt-rock dynamic. Don't miss this exciting new acoustic tour, a chance to see the band stripped back and at their most introspective. Sound good to you? 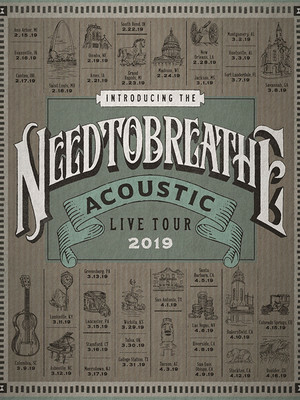 Share this page on social media and let your friends know about Needtobreathe at Thalia Mara Hall. 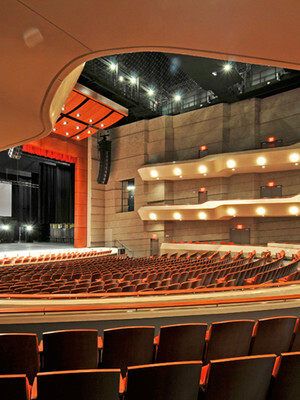 Please note: The term Thalia Mara Hall and/or Needtobreathe as well as all associated graphics, logos, and/or other trademarks, tradenames or copyrights are the property of the Thalia Mara Hall and/or Needtobreathe and are used herein for factual descriptive purposes only. 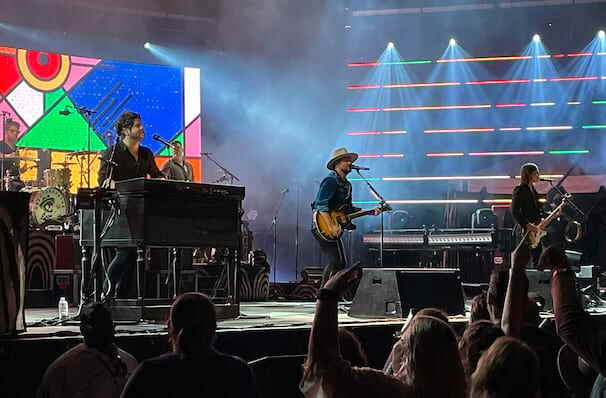 We are in no way associated with or authorized by the Thalia Mara Hall and/or Needtobreathe and neither that entity nor any of its affiliates have licensed or endorsed us to sell tickets, goods and or services in conjunction with their events.